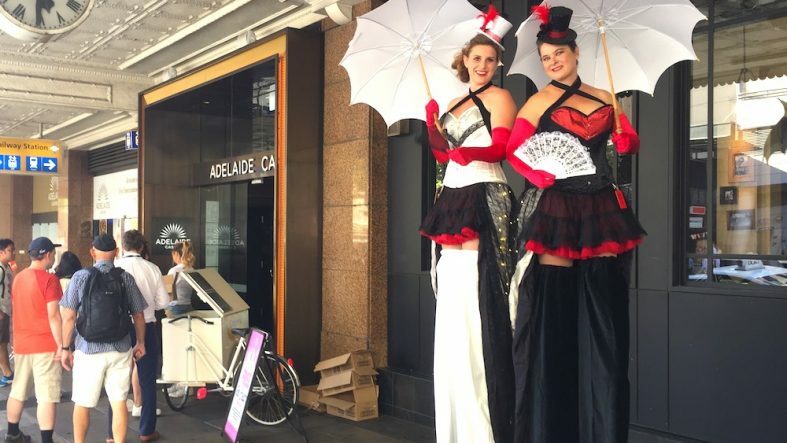 Jen Martin, Author at ""
Another weekend of blending with the high rollers at Adelaide Casino for two of our Vintage themed Stilt Walkers. 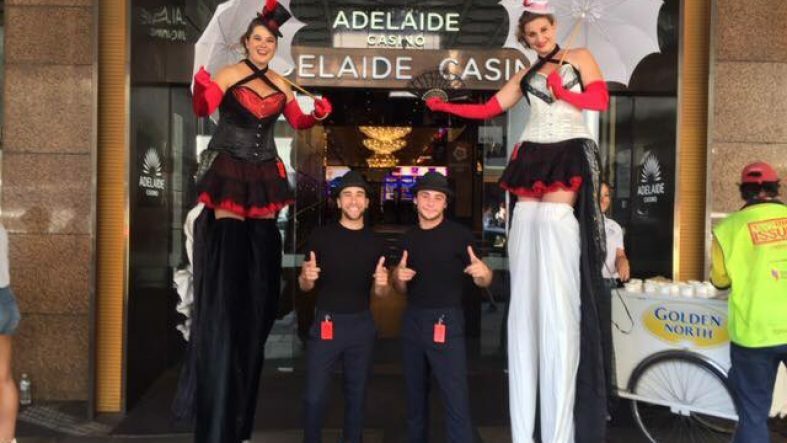 Stunning costumes and exciting performers are making sure that Casino patrons who are arriving or taking a break have something to smile about. 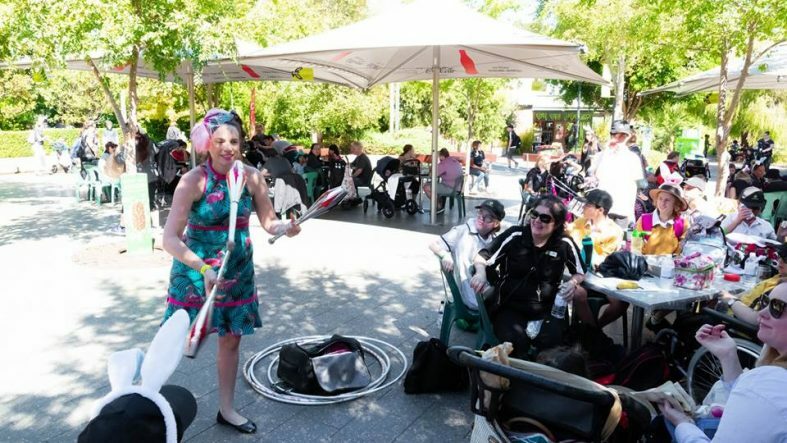 Another Fringe event and more of our performers are out and amongst it! 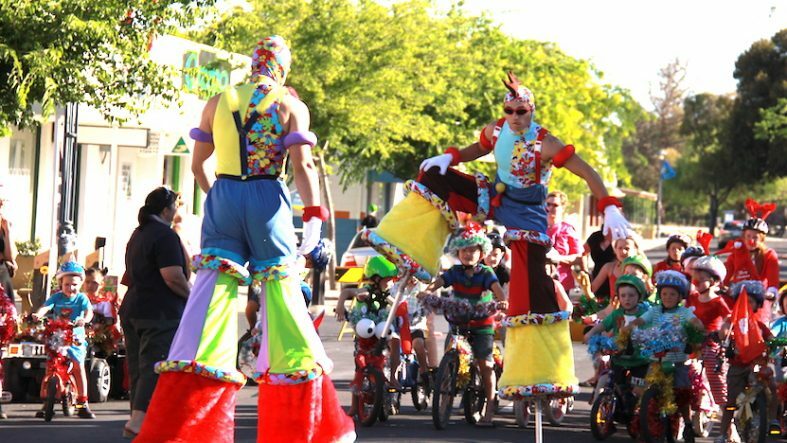 Marion Fringe Carnival has our French Stilt Clown and Funky Unicycle Clown at their gorgeous event on Sunday. Loved it! 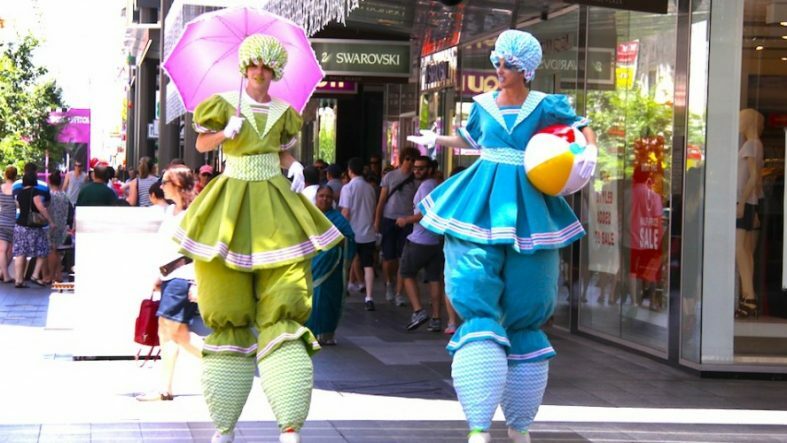 We are pleased to be able to bring the Fringe to Adelaide Casino over 2 weekends. 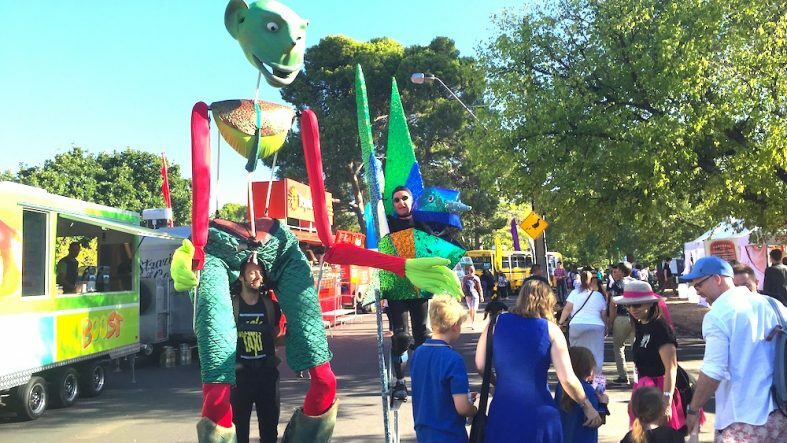 With Stilt Walkers and Acrobats, the Casino is adding to the festival vibe that fills the city. 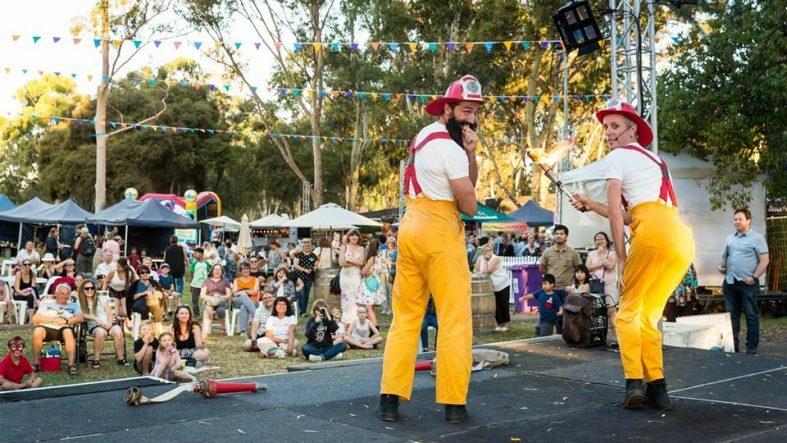 Slack Taxi was pleased to curate and program all the circus and street performing acts for Salisbury Secret Garden as part of the Adelaide Fringe Festival. 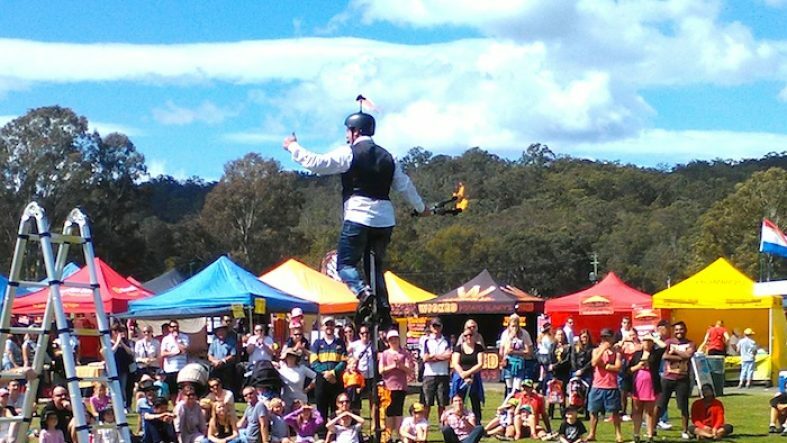 Performers from around the country and overseas were able to add to the amazing atmosphere of this growing event. 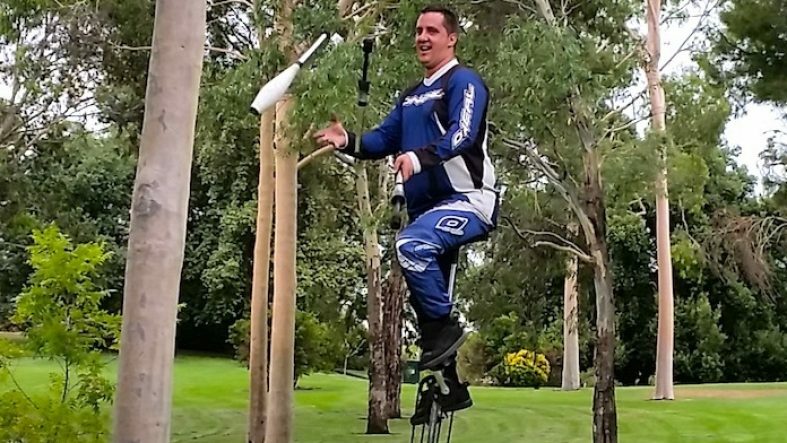 We are pleased to have Scoot the Stunt Juggler performing a week of shows at Newcastle University Orientation this year. 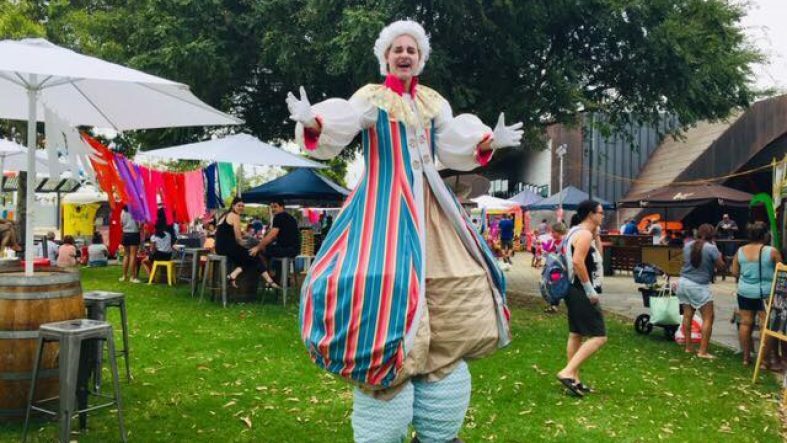 Always a pleasure to be a part of the Uni year’s getting under way. 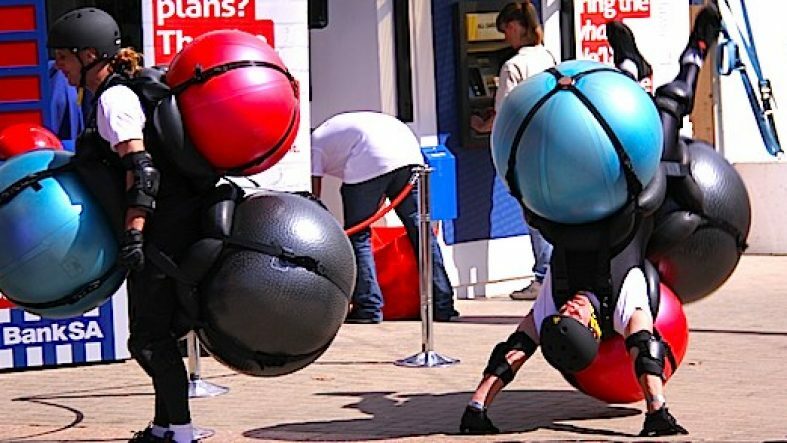 Photo at another event.